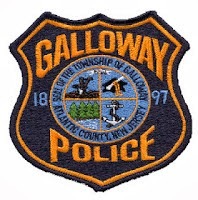 On October 16, 2014 at 8:51 a.m., Galloway Township Police responded to a motor vehicle accident with an overturned vehicle. A 2002 Hyundai driven by Emilie Burns 78, of Leeds Point, NJ turned in front of a 2006 Jeep driven by Ronald Poirier 51, also of Leeds Point. Burns was attempting a left turn onto Smith Bowen prior to impact. After the collision Poirier’s vehicle left the roadway and overturned twice. During the second roll over Poirier was ejected from the vehicle. Poirier was treated on scene by Atlanticare Medics and Galloway Township EMS. He was then transported to ARMC City Division for serious non-life threatening injuries. No other injuries were reported. The section of road was closed for approximately an hour while the scene was investigated and vehicles/debris removed. The accident is being investigated Ptl. Steve Garrison. Charges pending complete investigation.